Has anyone ever seen a sideswiper like this before? I have a question for you and your readers. I did bid on it, but didn't win the auction. In some ways the key looks home made, but it also looks manufactured. Ever heard of THE YASME FOUNDATION? There are some other fairly recent posts on this topic. Can you confirm that issue this goes away at very low power? If not, you are barking up the wrong tree. Please do not think a snap-on choke on a cable eliminated that source of RF. You often need multiple turns, as well as the correct type of snap on - they are not all the same. Mix 31 is generally appropriate, and often multiple turns through the core are needed to achieve sufficient Z. The ground rod issue is usually irrelevant to your RF issue, however, having a separate station ground rod not connected to house ground is generally not advised. Bond everything together at the home's main ground. You can google good articles on this topic, often by the same fellow that wrote the EMI primer above. He's a smart cookie and often posts here. If you can disconnect non-critical cables temporarily to determine where most of the ingress is, that will help. Make sure the USB cables and any audio cables are shielded high quality types. (You can swap suspect ones. By the way, don't think that the ferrite cores built into those USB cables means you do not need to add one. The ones built-in are optimized for VHF/UHF suppression, not HF. Otherwise, start with multiple turns through sufficiently large mix 31 cores on mouse, keyboard, USB, AC supply,audio, and network cables and see where that leaves you. People here can probably help once you have done the initial homework. This booklet by CN “ GROWING UP WITH CANADA” is out of the CN Rly archives – CN-HQ’s Montreal,Que. 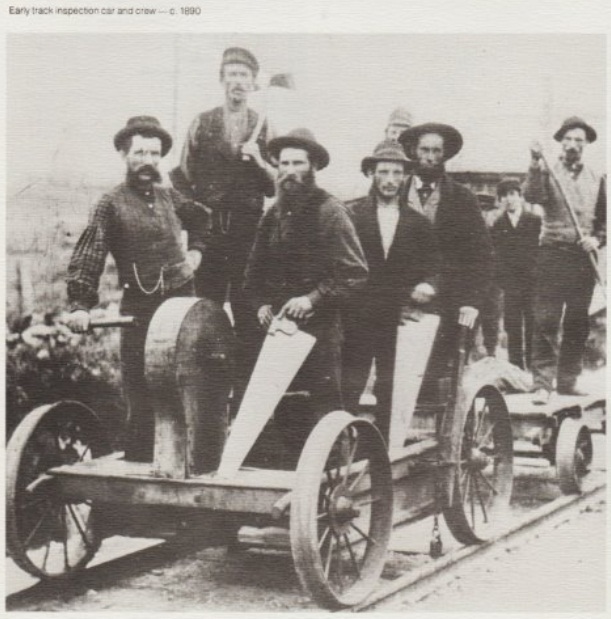 It picture was not likely taken on the “ GRAND TRUNK RAILWAY”- Lindsay to Kinmount-Haliburton Railway line - However, I expect there were similarities in both the inspection car and crew on the Haliburton Sub-division in that era! 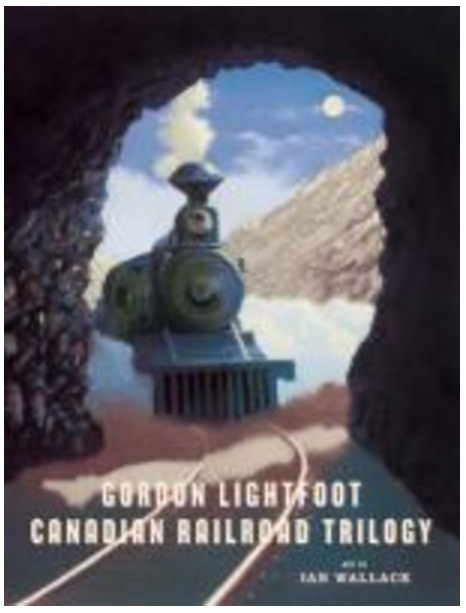 I will put a copy in the HISTORICAL KINMOUNT STATION RAILWAY MUSEUM. I am sending you a “SKILLMAN KEY” for display in the GLASS SHOW CASE – IN THE HISTORICAL KINMOUNT RAILWAY STATION MUSEUM. 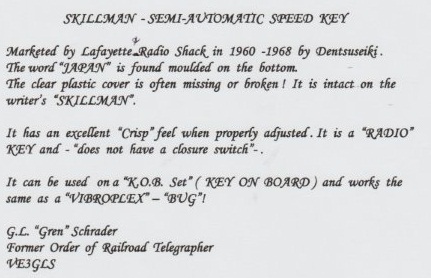 This is a “SKILLMAN” Semi-automatic speed key. The illustration shows it “without” and “with” the clear plastic cover. It is rather “Unique” and they appear to be rather “RARE”! My “SKILLMAN” does not HAVE any name on it. Just “JAPAN” moulded on the bottom!!!!! 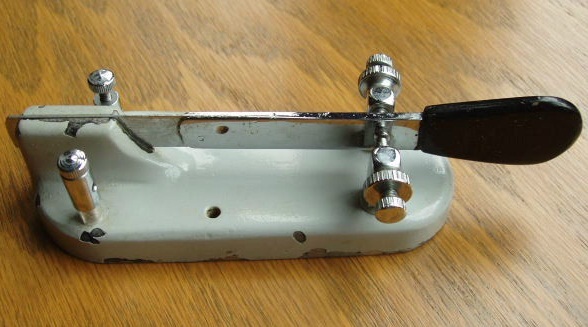 Unlike a VIBROPLEX – semi-automatic speed key (“BUG”) –It does not have a CLOSURE SWITCH. 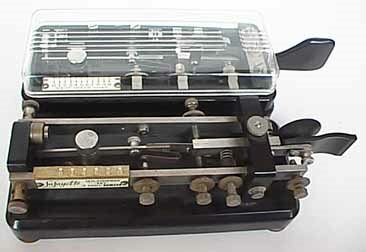 The SKILLMAN is a well machined Telegraph instrument - very classy looking too! It will look good on display with the other “landline Telegraph instruments”!